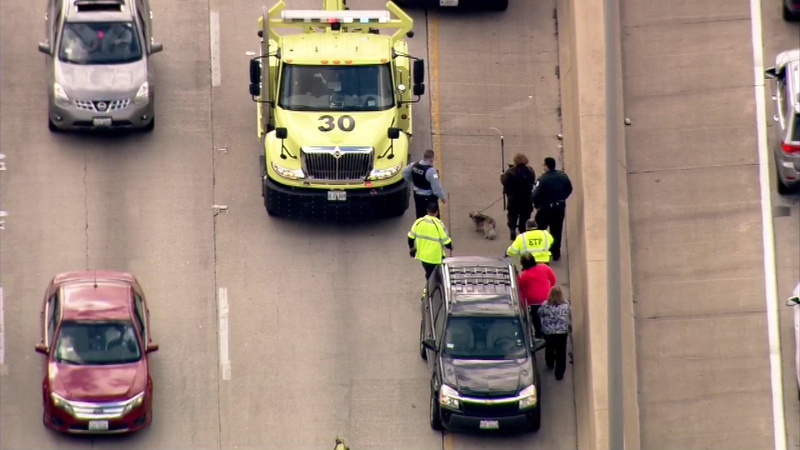 CHICAGO (WLS) -- Animal Control crews rescued a dog trapped below an SUV on the Kennedy Expressway near Addison on Tuesday. The dog is currently being evaluated but was walking on a leash after the rescue. There is no word on how the dog got on the expressway or became trapped.